Free resources. Please comment below. Even though we don’t consciously remember coming into this world, we are fully conscious in utero and at the time of our birth. Because we are conscious, these experiences contribute to how we build models of the world that impact the way we live our daily lives. In this interview Sharon King shares how Matrix Reimprinting (a tool set that uses tapping) can be used to help clear these unconscious memories. You may download this audio by right/ctrl clicking here. 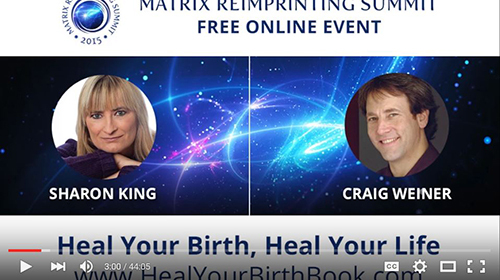 Matrix Birth Reimprinting with Sharon King – It Can Change Your Life! 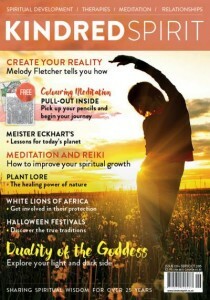 If you can heal your birth, it’s possible that you can heal your life! 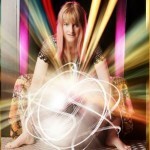 Matrix Reimprinting expert Sharon King from the UK will walk you through this incredible technique that she developed. How we come into the world really matters, and it even matters what was going on in our parents’ lives from the time of conception to birth. If you were an unwanted pregnancy, or were given up for adoption, or you witnessed domestic violence in utero, that can still be impacting you today.